CyberGlass Ben Wa Balls Blue Blossom, enhance intimacy and pleasure with the solid, hand blown glass balls. 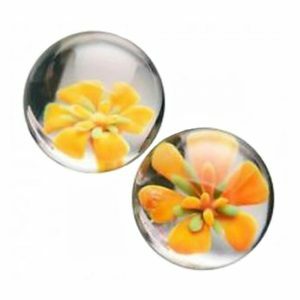 CyberGlass Ben Wa Balls Yellow Blossom, enhance intimacy and pleasure with the solid, hand blown glass balls. Climax Kegels Ben Wa Balls with Silicone Strap, silicone is durable, nonporous and can last a lifetime. Climax V-Balls, duo-tone balls 2 soft weighted balls on single cord.